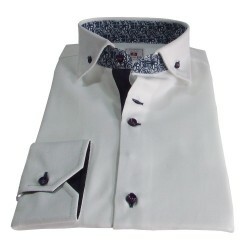 Lilac shirt with italian classic collar. 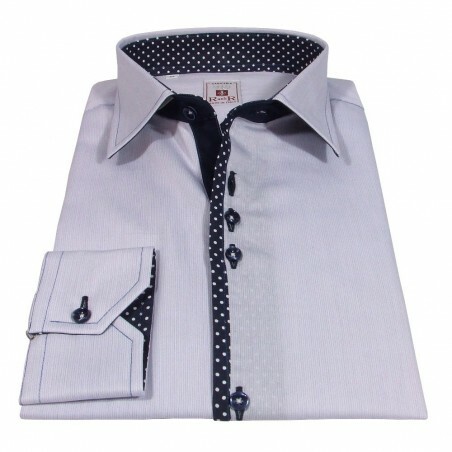 Blue buttoholes and buttons, polka dots profile and style contrast. 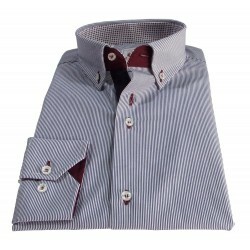 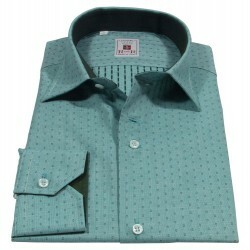 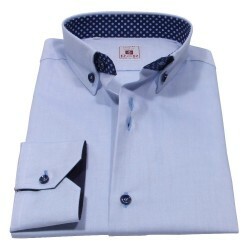 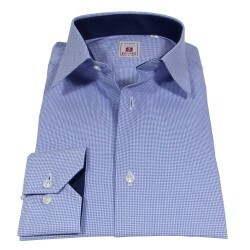 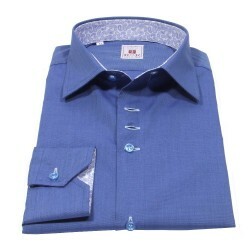 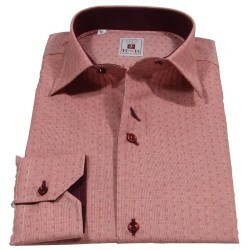 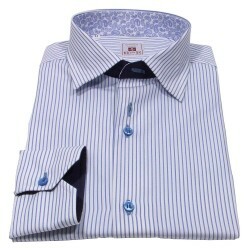 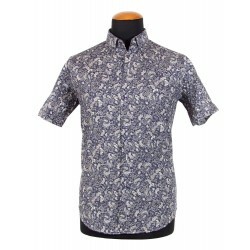 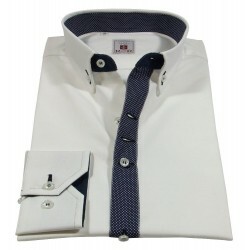 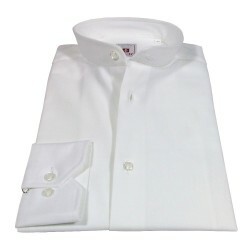 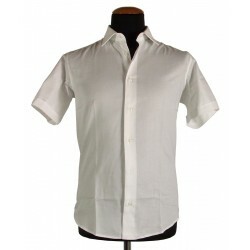 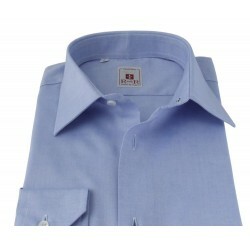 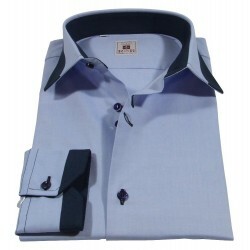 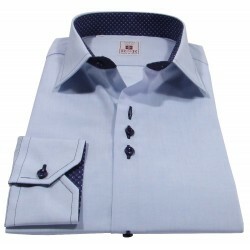 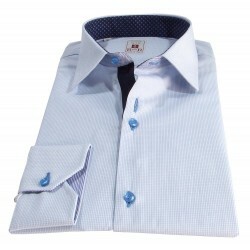 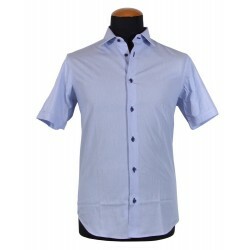 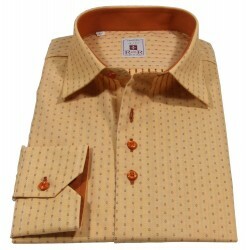 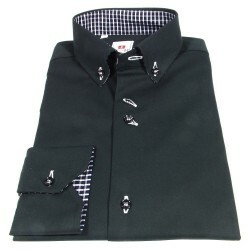 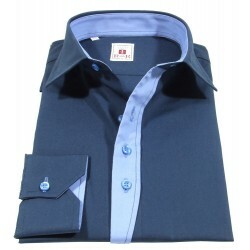 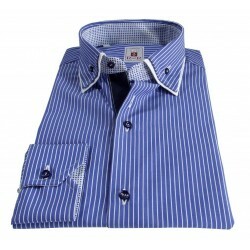 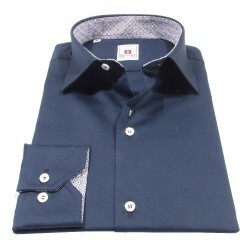 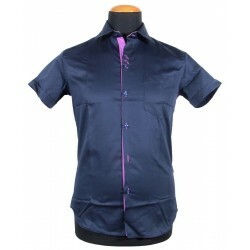 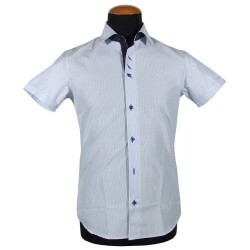 Lilac men's shirt with italian classic collar. 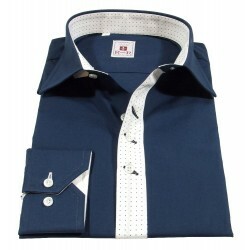 Blue buttoholes and buttons, polka dots profile and style contrast.